…but just in case you do, booking for PDtP on February 6th is now open. If you miss out on the first tranche of spaces, more will be available from 9am tomorrow morning, after which the waiting list will be open. We’re gonna have some fun with the Franco-Flemish! Which, to be honest, is not a phrase you get to use every day. But on February 6th, we’ll all be shouting it from the rooftops, as that is the day of the PDtP Franco-Flemish Special. We’ll be enjoying masterpieces from Lassus, Arcadelt, Isaac and, of course, the immortal Josquin. Booking goes live at 5pm tomorrow (Jan.27th), with extra places released the next day at 9am. We reserve some spaces for first timers so if that’s you, drop me a line via the comments box below before Saturday morning, including your singing voice, and we’ll see what we can do. Posted on January 26, 2017 January 26, 2017 Leave a comment on We’re gonna have some fun with the Franco-Flemish! If you guys are suffering from a post-Christmas blow-out, it hasn’t shown! We’ve had a couple of great nights of singing so far, which makes me think it’s going to be another great year. @PubPolyphony According to tonight's music there's no hope of speeding and Hope lies bleeding, but Jesus is coming in an ambulance. 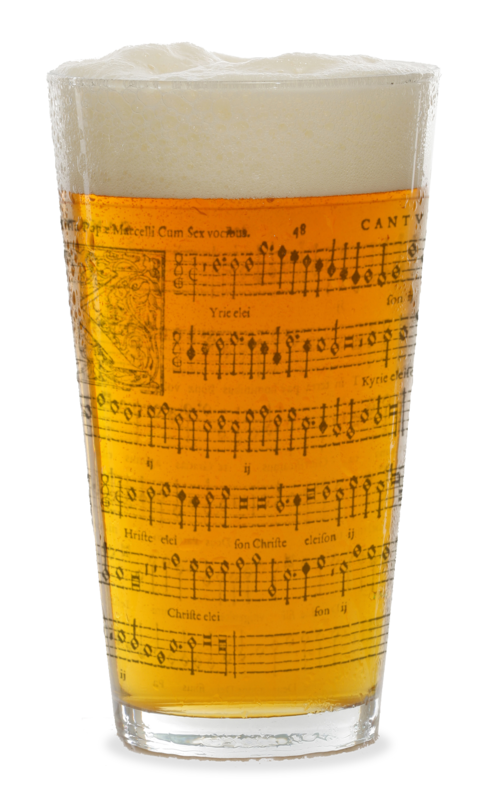 @PubPolyphony post work warbling in a pub – marvellous!! Highlights of the night were definitely Kirbye‘s Alas! What hope of speeding, the Kyrie from Victoria‘s 4-part Requiem, Giovanelli‘s O salutaris hostia & Stoltzer‘s O admirabile commercium, though a personal favourite was BWV277: only 16 bars in length but with depths unfathomable. #cafecounterpint bringing a radical soupcon of dynamics and lightness to Morley, at least that was the idea. Thanks to all you @Counterpint singers for a wonderful Monday evening, we loved hosting you as always. Looking forward to seeing you in Feb.
Again, many hits of the evening, but stand-outs were Brito‘s Circumdederunt me and Zielinski‘s Vox in Rama. Thanks to all who came along and made them such fun nights. Counterpint in the Cafe will be back in Feb. too so all in all, there’s a lot going on! Thanks for your continuing support and hope to see you soon. Kingston! Counterpint at the Canbury Arms is back! For too long, the good people of Kingston have laboured through a seemingly unending cold, dark, booze ‘n’ polyphony-free night. But no longer; dawn has broken at last and the light of alcohol-soaked harmony will once again bathe you in its warmth. That’s right, Counterpint at the Canbury Arms is back, and it’s going to be better than ever! Tuesday January 31st is the date and 7pm is the kick-off time. Booking is now open and places are linited; as if you needed any more incentive, we have 6 months’ worth of fantastic material from PDtP to draw on so book yourselves in now. Posted on January 23, 2017 1 Comment on Kingston! Counterpint at the Canbury Arms is back! that we’ll be holding our very first Counterpint in the Cafe of 2017 tomorrow evening. There are still a couple of spaces left for anyone who isn’t an alto, though please note that you’ll need to be there before the 6.30 start time as this is when the door to the shop is locked. Looking ahead, our next PDtP session takes place on February 6th i.e. back in its usual Monday slot at the Horse and Stables. Booking will go live at 5pm on Friday January 27th, with a second batch going live on Saturday the 28th; have a look at this page for the booking links later in the week. I know a number of you are waiting for another Counterpint in Kingston. I promise you that I am working on finding the time(!) so bear with me for a while longer. …but I was rather distracted just before 5pm so I forgot to announce that booking for Monday’s Counterpint in the Cafe has gone live. Looks like you guys may be distracted too as there are loads of spaces left as I type this; however, in case they all go at some point this evening, a few more will be released at 9am tomorrow. For the moment, though: good night and good luck. Quick reminder that January’s PDtP takes place tonight; still one or two spaces left for anyone who isn’t a bass. As promised, we’re putting on a Counterpint in the Cafe next Monday (Jan.23rd). Booking goes live at 5pm on Friday the 20th, with a few more released the next day at 9am. Only 28 spaces will be available so you’ll need to be quick – and please don’t book unless you know you can make the start time of 6.30!